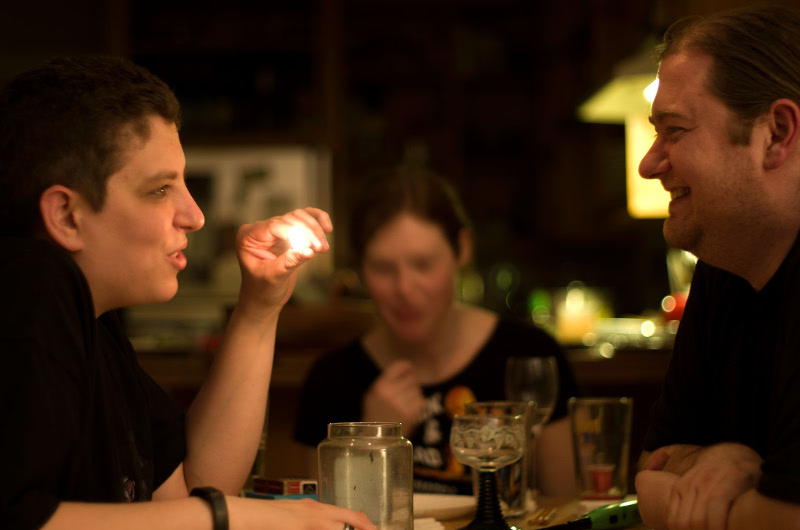 A collaborative storytelling game for two adults, a matchbox and an ashtray. This is a collaborative game, its purpose to evoke the struggle of the Scoundrel trying to survive the perils of the Deep with wits, luck, skills, and the help of what little light remains in his few matches. Will the Scoundrel emerge from the Deep, and keep the Ruby? Or will the Perils of the Deep best them, and bury them forever in its murky depths? Originally published in issue six of Epidiah Ravachol’s Worlds Without Master. A Scoundrel in the Deep is the product of the minds of Flavio Mortarino and Renato Ramonda. Renato and Flavio have known each other for a while now: both founding members of Janus Design, their individual quirks balance out and help them (most of the time) in the creative process. 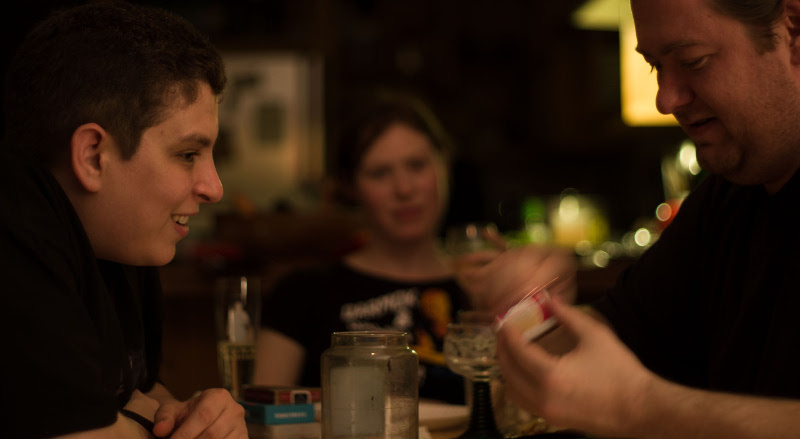 A collaborative storytelling game for two adults, a matchbook, and an ashtray. One player is the Scoundrel: a rogue, adventurer, they went through the trap - and horror - filled Tomb of the Deep to retrieve the fabled Ruby. But now they need to find a way out, groping in the endless night of the underground complex, their only source of light a few matches. The other player is the Deep: the Deep does not want the Scoundrel to leave. They play the perils the Scoundrel is going to face, the traps, the natural obstacles, the creatures, the sorceries. Play proceeds in a ritualised fashion: the Deep announces a Peril lurking in the shadows and describes how the Scoundrel perceives it without seeing it… then a match is lit. Only when the flame is burning the Scoundrel sees their whereabouts. The Deep narrates the nature of the perils. 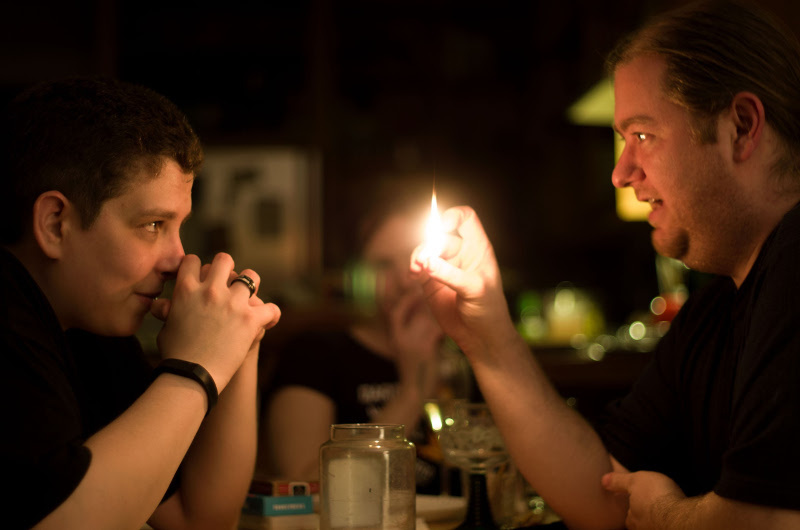 The Scoundrel narrates how they overcome them… unless the flame goes out, or they have to let the match go to avoid scalding their fingers. Fame and Glory, or Eternal Entrapment? The Scoundrel’s task is hard, but not impossible, for they are resourceful and canny. The Deep is powerful, and malicious, and can shape the Tomb with their descriptions. In the end, the two players will tell a compelling story of adventure, perils and setbacks, narrow escapes and portentous dangers. Whatever the outcome, both are winners if the tale is worthy. Get the full game paying what you want clicking the big button below… or maybe you want to know what a full game of Scoundrel plays like, before. Fear not, for several nice people recorded games and put them online! Click the nice button below to buy the game paying whatever you feel like (yes, even zero). Alternatively, you can buy Issue Six of Epidiah Ravachol’s Worlds Without Master, which contains the game, plus more pulpy goodness… or better yet become one of his patrons on Patreon: it’s a great source of Sword and Sorcery with a modern sensibility. Stories, illustrations, games, comics and more. And most importantly, if you get and play the game, please do share your impressions with us! 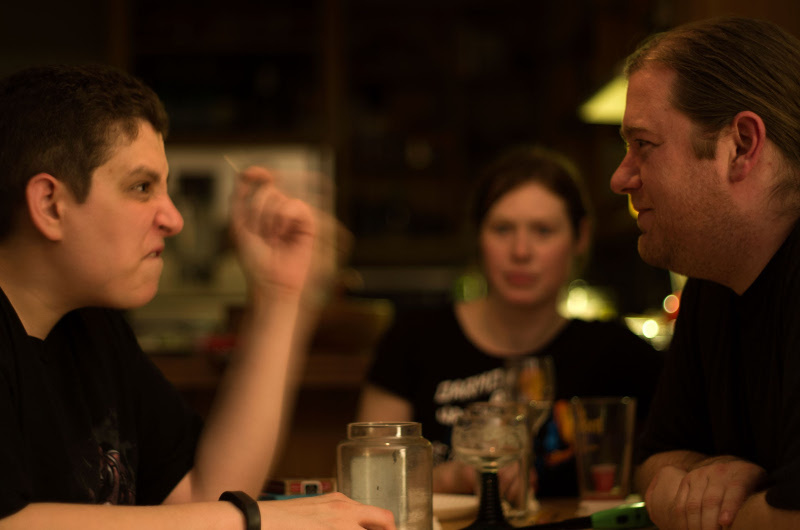 The beautiful photos that adorn this page depict a real game in progress, and we love them! Photos are Copyright © John Sheldon All Rights Reserved, used with permission. Built with Hugo and the landing-page-hugo theme, modified.